Noordwijk, about ten kilometers from Leiden, is the place in the Netherlands for research on space technology. Activities are not confined to research, though. The Business Incubation Centre of the European Space Agency (ESA BIC) houses companies which are trying to transfer technologies from space to other areas of the economy. One of those is Social Charging. Social Charging is a social network app for Electric Vehicle (EV) users to share charging points efficiently. 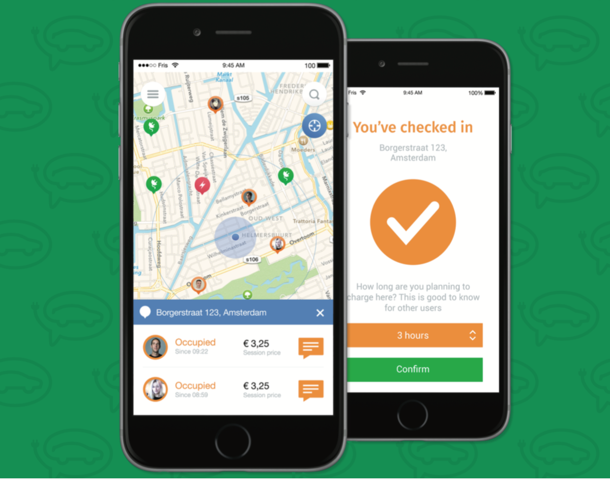 Social Charging uses geo-information from satellites to detect automatically when EV-users check-in or check-out on charging stations. This information is ‘personalized’, so the system knows which EV user is using the station. Satellite technology also offers users of the app a direct overview of all charging stations around their location at that moment. EV users can open the Social Charging app when they are looking for charging points around where they are, or need to be. They will see the current status of the charging station: in use or not in use. 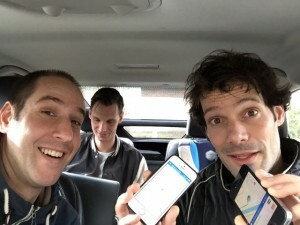 Thereafter, they can send a personal request-to-charge to the EV-users whose cars are connected to the charging points of their interest. When one of these connected EV-users is willing to make space, a conversation can start by means of a chat. The user will also be facilitated with navigation on how to get there. Social Charging joined the ESA BIC in February 2015. Being surrounded by other startups which are using space technology is important for Geurts. “It is very helpful to exchange knowledge with and learn from ESA and other ESA BIC incubatees.” The startup will open the second beta version of the app this week.